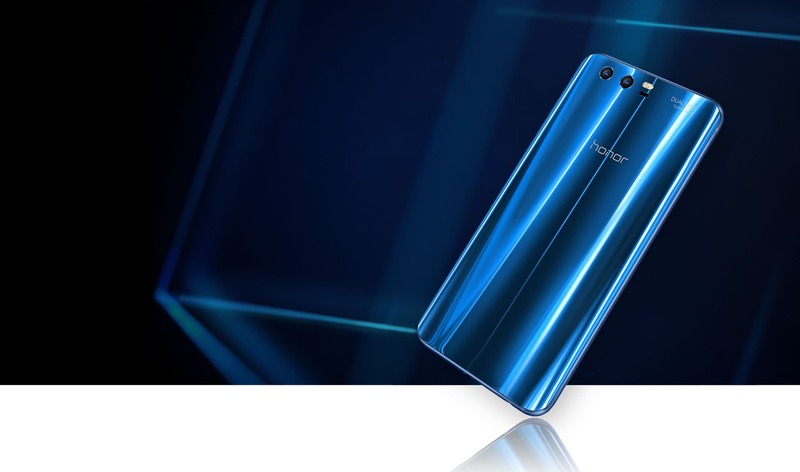 The gorgeous prince of smartphones, Honor 9 is all set to capture Indian customers under its charm of a glaring attire and high-end specifications. Rumor has it, the phone will hit the shore aka online delivery channels on October 5. Our prediction says the phone will probably find its place in the Amazon Super Sale ( 4th-8th October ) and you may bag one for yourself. It does not harm to recapitulate the specifications, so we will discuss it once again what we may get and may not. Since its launch, it has become one of the trending devices because of its stunning back panel. Cradled by the 3D curved glass, the device comes in vibrant color choices, sporting state-of-the-art nano textures precision technology combined with photo-etching technology. A complete blend of style and technology, the device is currently offered in, Glacier Grey, Sea Blue, Amber Gold and Black, however, other color variants such as Pitch Pink, Yellow and Orange may soon join the line-up. Leaving aside its outer shell, the back panel is integrated with a dual-lens set-up, combining a 20 MP monochrome lens and a 12 MP RGB lens. Plus it claims to offer quality low-light photographs and Dual-hybrid zoom technology, for clear snaps while zoomed in. Moreover, the Quick editing function helps the phone to publish doable videos if you need to publish a quick clip of something sooner than what you can invest in front of your computer desk. The audio section is also filled with surprises. Dressed in Huawei Histen 3D audio technology, the phone has kept things sorted for people with different music taste. Powered by a HiSilicon 64-bit 2.4 GHz octa-core Kirin 960 chipset coupled with Mali G71 GPU and a 6GB/4GB RAM, the phone is ready to give you a smooth experience. Storage wise, it offers two variations among which the 6 GB RAM variant comes with 128 GB internal storage and the 4GB RAM variant comes with 64 GB internal storage. Other specifications include 8-megapixel snapper with f/2.0 aperture and connectivity options such as 4G LTE with VoLTE, WiFi (a/b/g/n/ac), Bluetooth 4.2,Hybrid Dual SIM support, GPS, NFC etc. What you can guess is that the phone cannot ever be a budget phone. Yes, indeed and it will cost you around Rs. 30, 000. However, given that it will now be launched to capture the mass of India, it will probably pack the gadget with some exchange offer or provide such deals to get our attention. Plus, it will offer you $18 promotional Tranformer game voucher for buying the Honor 9 phone. Till then, keep learning.